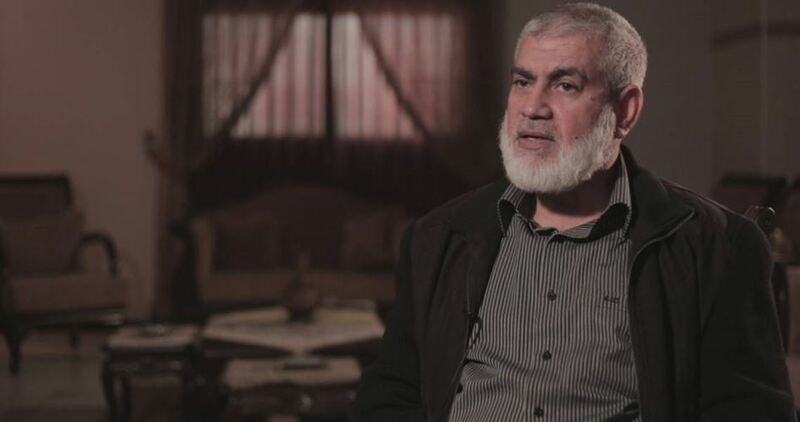 The Hamas Movement leader, Rawhi Mushtaha, said that the issue of integrating Gaza public servants in the government sector is the most important issue to be discussed in Cairo reconciliation talks which are slated to kick off in Cairo next Tuesday. In an exclusive statement to the PIC, Mushtaha added that the upcoming talks will review the previous agreements; most prominently, the Cairo Agreement 2011 and coming up with special implementation mechanism especially in relation to civil workers through forming an administrative committee of Hamas and Fatah Movements. Other issues to be tabled is halting the Palestinian President Mahmoud Abbas’s punitive measures against Gaza, he highlighted. The Hamas leader who resides in Egypt pointed out that the members of Hamas’s delegation to Cairo have not been named yet, saying that the delegation will include leaders from the Gaza Strip, West Bank and diaspora. Mushtaha called on Egyptian and Palestinian authorities to meet Hamas’s positive moves with opening Rafah crossing and offering power needs. The father of one of the Israeli soldiers captured during the military offensive against the Gaza Strip three years ago has said that the Palestinian reconciliation process presents an opportunity for the men to be returned to their families, Safa News Agency has reported. Professor Simcha Goldin, who is the father of Lieutenant Hadar Goldin, said that the opportunity must not be lost. “Israeli has to pass this message to the regional and international communities,” he insisted during a marathon organised on Friday morning near the settlement of Kfar Saba. What’s more, he added, Palestinian reconciliation is a chance to declare formally the end of Israel’s “Operation Protective Edge”, the name given to its 2014 military offensive. Hadar Goldin and Oron Shaul were captured in the offensive, during which Israel killed more than 2,260 Palestinians, wounded 11,000 others, and destroyed schools, mosques, hospitals and infrastructure. Gaza, it is understood widely, was made unliveable by the third major Israeli attack in under six years. In April, the military wing of Hamas, the Ezzedine Al-Qassam Brigades, published pictures of four Israeli soldiers said to be held captive, including Goldin and Shaul. No talks about them are taking place, it pointed out. The Freedom Flotilla Alliance has sent a letter to UN Secretary-General António Guterres telling him that there is no justification for maintaining the Israeli-led siege on the Gaza Strip. The international alliance, which includes activists from around the world, called on Guterres to start work on lifting the siege as a matter of urgency. The London-based activist called on all international bodies which are hesitant to break the siege because of Hamas, to go ahead and work seriously to end it. He reminded officials that the siege was imposed on the Palestinians in the Gaza Strip simply for electing the “wrong” leadership in free and fair elections in 2006. Al-Birawi also called on the Palestinian Authority to be serious about ending the siege and help to rebuild its shattered infrastructure in cooperation with donor countries, especially Egypt, which sponsored the recent Palestinian reconciliation. In its letter to Guterres, the Alliance called for Israel to be obliged to commit to all UN resolutions and for the international body to impose sanctions on the Zionist state if it refuses to comply with the will of the international community. It said that the so-called “Middle East Quartet” should be dissolved and replaced with an active monitoring commission. A veteran human rights activist has described the decision of the Israeli High Court to ban Palestinian children from playing in the courtyard of Al-Aqsa Mosque in occupied Jerusalem as yet another form of Israeli “arrogance” with regard to Muslim and Christian religious sites. Speaking in his role as head of human rights group Transparency, Essam Youssef condemned the court’s decision, pointing out that it comes within the context of the Israeli occupation authority’s attempts to prove its hegemony over the Noble Sanctuary of Al-Aqsa through its judicial and security institutions. This, he pointed out, is especially true following the steadfastness of the Palestinian Jerusalemites and their success in preventing the Israelis from installing electronic gates and surveillance cameras at the entrances to Al-Aqsa in July. The court issued an order on 4 October for police to prevent Palestinian children from playing in Al-Aqsa Mosque’s courtyards, following a complaint made by extremist Jewish organisations that “children’s play violates the sanctity of holy sites.” According to Youssef, the Israeli government is always seeking to appease Jewish extremists who control its political decisions, even at the expense of Muslims’ freedom to practice their religion. The head of Transparency called for the international community and Palestinian Authority to take a stand against Israel’s attempts to impose itself on the Noble Sanctuary of Al-Aqsa. Israeli soldiers shot and injured, on Friday evening, four Palestinians east of Jabalia town, in the northern part of the Gaza Strip, and one near al-Boreij refugee camp, in Central Gaza. Medical sources said the soldiers fired many gas bombs and rubber-coated steel bullets at a group of Palestinians, east of Jabalia, wounding four. Medics provided the four wounded Palestinians with the needed urgent care, and moved them to Kamal Adwan hospital. In addition, the soldiers shot Palestinian teen, 17 years of age, during clashes that took place east of Jabalia refugee camp, in central Gaza. The soldiers, stationed across the border fence, fired many live rounds and gas bombs, moderately wounding the teen with a bullet in his leg, before local medics rushed him to Al-Aqsa hospital in Deir al-Balah. Israeli forces continued with systematic crimes in the occupied Palestinian territory (oPt) for the week of 28 September – 04 October 2017. 6 Palestinian civilians, including 3 children, were wounded in the West Bank and Gaza Strip. During the reporting period, Israeli forces wounded 6 Palestinian civilians, including 3 children, in the West Bank and Gaza Strip. In the Gaza Strip, Israeli naval forces continued to chase Palestinian fishermen in the Sea. In the West Bank, 28 September 2017, a Palestinian child in Beit Sorik village, northwest of occupied Jerusalem, was hit with several bullets. However, his condition is so far unknown as the Israeli forces arrested him. On 29 September 2017, A Palestinian civilian was hit with a rubber-coated metal bullet when Israeli forces moved into the areas of Jabal al-Mawaleh and Wadi Shahin in Bethlehem. Meanwhile, dozens of children and young men gathered in Shahin area and threw stones and empty bottles at the Israeli vehicles. The Israeli soldiers in response opened fire at them. On 03 October 2017, 3 civilians, including a child, were wounded when Israeli forces moved into Sho’afat refugee camp, north of occupied Jerusalem, to arrest some of the camp’s residents. A number of children and young men gathered to throw stones and empty bottles at the Israeli soldiers, who chased them and then randomly fired sound bombs, tear gas canisters and rubber-coated metal bullets in the area. As a result, the three civilians were wounded. In the Gaza Strip, the border areas witnessed protests against the ongoing unjust closure on the Gaza population. During the protests, the Israeli forces used force against the protestors and opened fire in order to disperse them. As a result, a child sustained shrapnel wounds to the neck. In the pretext of targeting Palestinian fishermen in the Sea, on 01 October 2017, Israeli gunboats sporadically opened fire at the Palestinian fishing boats, northwest of Beit Lahia in the northern Gaza Strip and chased them. The shooting recurred in the same area in the morning. On 29 September 2017, Israeli gunboats sporadically opened fire at the Palestinian fishing boats, west of al-Soudaniya, west of Jabalia in the northern Gaza Strip, and chased them. The shooting recurred in the same morning and on 30 September. During all those incidents, no casualties were reported; however, the fishermen were forced to flee for fear of being wounded, arrested or their boats being confiscated. For the second consecutive week, Israeli forces continued to close the northwestern side of occupied Jerusalem, by closing all the roads to this area. The closure included 16 Palestinian villages. Those restrictions came after Nemer al-Jamal carried out a shooting attack at the entrance to “Har Adar” settlement and killed 3 Israeli soldiers. The closure disrupted the school year in around 50 schools with 4000 students in addition to completely hindering the daily life in the area. The Israeli forces also denied ambulances, journalists, and international organizations access to the area. Moreover, Israeli forces totally isolated Beit Iksa village from the nearby villages and banned all civilians from leaving or entering the village. On 03 October 2017, Israeli forces handed Nemer al-Jamal’s family a house demolition notice and gave them 72 hours to implement the demolition. The notice included evacuating their house and submitting an appeal before the Israeli court within this period. As part of restrictions imposed on Palestinian farmers during the olive harvest season, on 01 October 2017, Israeli forces forced farmers from ‘Azoun village, east of Qalqilya, to go home when the later were on their way to harvest olives from their lands near “Ma’ale Shomron”settlement, north of the abovementioned village. A number of farmers said that when they headed to Khelet al-Romanah and Khelet Abu Zeinah areas, Israeli soldiers arrived at the areas and expelled them so that they return to their lands after 16 October 2017. Following the Friday prayer, 29 September 2017, dozens of Palestinian civilians and Israeli and international human rights defenders organized protests in Bil’in and Ni’lin villages, west of Ramallah; al-Nabi Saleh village, northwest of the city. Israeli forces forcibly dispersed the protesters, firing live and rubber-coated metal bullets, tear gas canisters and sound bombs. They also chased protesters into olive fields and between the houses. As a result, some of the protesters suffered tear gas inhalation while others sustained bruises as Israeli soldiers beat them up. At approximately 14:30 on Friday, 29 September 2017, about 30 Palestinian youngsters made their way to the border fence between the Gaza Strip and Israel, east of al-Buraij refugee in the central Gaza Strip, in protest against the Israeli closure imposed on the Gaza Strip. The youngsters gathered near the security fence and set fire to tires. They also raised banners and flags and threw stones at the Israeli soldiers stationed along the border fence. The soldiers sporadically fired live bullets and tear gas canisters for an hour and a half at the protestors and agricultural lands located to the west of the abovementioned border fence. As a result, a 16-year-old child sustained a live bullet shrapnel wound to the neck while others suffered tear gas inhalation. The wounded child was transferred to Shuhadaa’ al-Aqsa hospital in Deir el-Balah. His wounds were classified as minor. On Thursday, 28 September 2017, for the third consecutive day, Israeli forces continued to close the northwestern area of occupied Jerusalem, which includes 16 Palestinian villages. 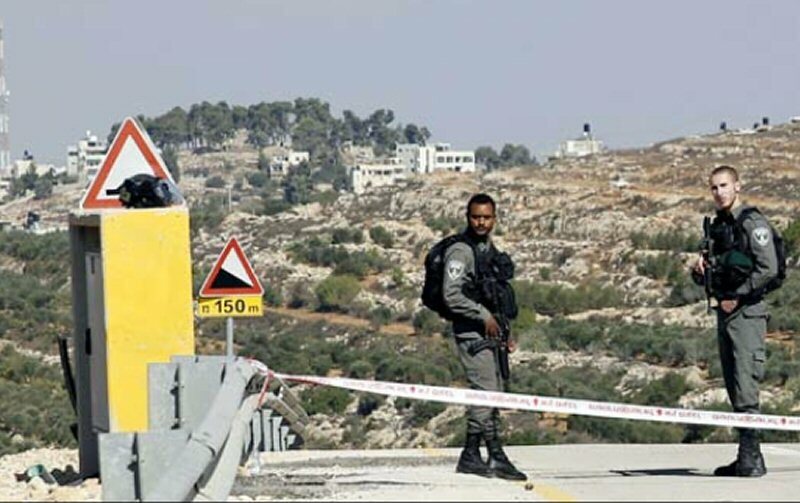 They closed all roads to the area after the attack in “Har Adar” settlement carried out by Nemer Mahmoud al-Jamal, killing 3 Israeli soldiers. The closure included the Tunnel Road that leads to Badou village, Beit ‘Anan-Beit Laqia Road in addition to the internal roads between the villages. The Israeli forces continued their incursions, suppression and detention of families in Beit Surik village, which is Nemer al-Jamal’s hometown. They also distributed a statement to the village residents, ordering them not to move outside their homes, “and whoever does so, he will be shot.” Moreover, the Israeli forces arrested Rami al-Jamal from Beit Surik village in the morning. They also raided the condolences house of al-Jamal and fired tear gas canisters and sound bombs. They then confiscated dozens of vehicles from Beit Surik and Badou villages. The closure disrupted the school year in about 50 schools that include more than 4000 students in addition to hindering the daily life in general in the area. In the same time, the Israeli forces issued several orders to stop construction-works and threatened to demolish the unlicensed buildings. They also permanently seized houses belonging to al-Jamal family in Beit Surik village. They banned ambulances, media crews and international organizations from entering the area. Beit Eksa village was also isolated from the nearby villages, and the Israeli forces prevented civilians from entering and leaving the village. On Thursday evening, the Israeli forces raided and searched several houses in Badou village amidst an intensive firing of live bullets. They arrested 3 children namely Hamadah Jamal Abu ‘Eid (17), Walid Reyad al-Dali (14), and Yazid Hamdan (15). In the early hours on Tuesday, 03 October 2017, Israeli forces moved into Beit Surik village, northwest of occupied Jerusalem. They raided and searched a house belonging to the family of Nemer al-Jamal, who carried out the “Har Adar” settlement attack. They handed the family a demolition notice and gave them 72 hours to carry out the demolition. The notice included evacuating the house or filing an appeal to the Israeli court within the mentioned period. At approximately 06:00 on Monday, 02 October 2017, Israeli forces moved into Silwan village, south of occupied East Jerusalem’s Old City. They raided and searched a house belonging to Fo’ad Ahmed al-Qaq (20) and handed him a summons to refer to the Israeli Intelligence Service in Salah al-Deen police center in the center of occupied East Jerusalem. 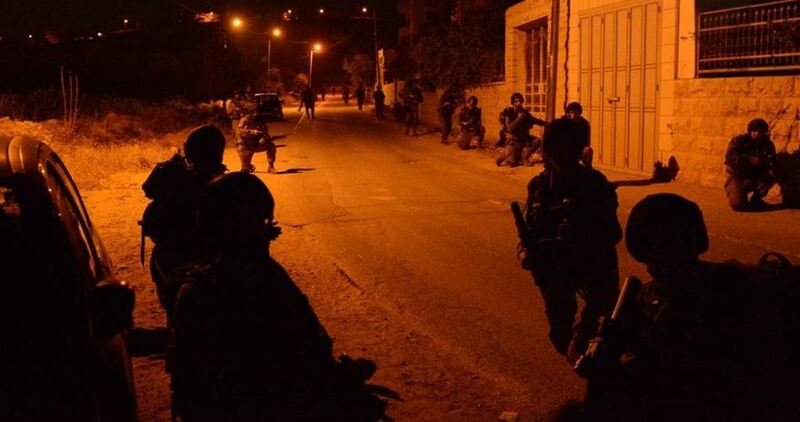 At approximately 04:00, Israeli forces moved into Beit Sorik village, northwest of occupied Jerusalem. They raided and searched a house belonging to Ameer al-Ghazawi and arrested him. At approximately 01:00 on Tuesday, 03 October 2017, Israeli forces moved into Sho’fat refugee camp, north of occupied East Jerusalem’s Old City. They raided and searched dozens of houses from which they arrested Sa’ied al-Dabit, Mo’min al-Debis, Khadir al-Debis, ‘Odai al-Dabit, Tahseen al-Rajbi, and Iyyas al-Rajbi. A group of Palestinian young men gathered and threw stones and empty bottles at the Israeli forces, who indiscriminately fired sound bombs, tear gas canisters, and rubber-coated-metal bullets at them. As a result, an 11-year-old child was hit with a metal bullet to the eye, while another young man and an elderly man were hit with 2 rubber-coated metal bullets to the limbs. They were then taken to hospital to receive medical treatment. At approximately 01:00 on Wednesday, 04 October 2017, Israeli forces moved into Hizmah village, northeast of occupied Jerusalem. They raided and searched a house belonging to Kifah Saleh Badran al-Khatib and arrested him. At approximately 04:00, Israeli forces moved into Silwan village, south of occupied East Jerusalem’s Old City. They raided and searched a house belonging to Loai Sami al-Rajabi (22) and arrested him. At approximately 07:00 on Wednesday, Israeli forces moved into occupied East Jerusalem’s Old City. They raided and searched a house belonging to Abed al-Rahman al-Hashlamoun (13) and arrested him. At approximately 08:00 on Sunday, 01 October 2017, Israeli forces ordered Palestinian farmers from ‘Azoun village, east of Qalqiliyia, to go back to their houses while harvesting olives near “Ma’ale Shamron” settlement, north of the village. The heirs of late Khalil Amer, late Abdul Rahman Amer Suwaidan and Rafiq Rashid Suwaidan went to Khellet al-Rummaneh area. The Israeli forces then arrived at the area and expelled all of them, telling them that they are allowed to come to the area after 16 October 2017. The Israeli forces also expelled Hasan Rasem Shubitah, Adam Ahmed Badwan, Mahmoud Yousef Abu Zahra, Ali Wajeeh ‘Odwan, Monther Hasan Jadou’, and Sa’ied Mahmoud Badwan from their lands in Khellet Abu Zinah. At approximately 01:00 on Thursday, 28 September 2017, dozens of buses carrying Israeli settlers entered Joseph’s Tomb in Balatet al-Balad village, east of Nablus, under the Israeli forces’ protection. Dozens of Palestinian young men gathered in the vicinity of Joseph’s Tomb and at the entrances to Balatah and ‘Askar refugee camps. The youngsters threw stones and empty bottles at Israeli soldiers, who fired live bullets, rubber-coated metal bullets, sound bombs and tear gas canisters at them. The Israeli forces also chased them in the camps’ streets and alleys. In the morning, after the Israeli settlers performed their Talmudic prayers, the Israeli forces withdrew and no casualties were reported. 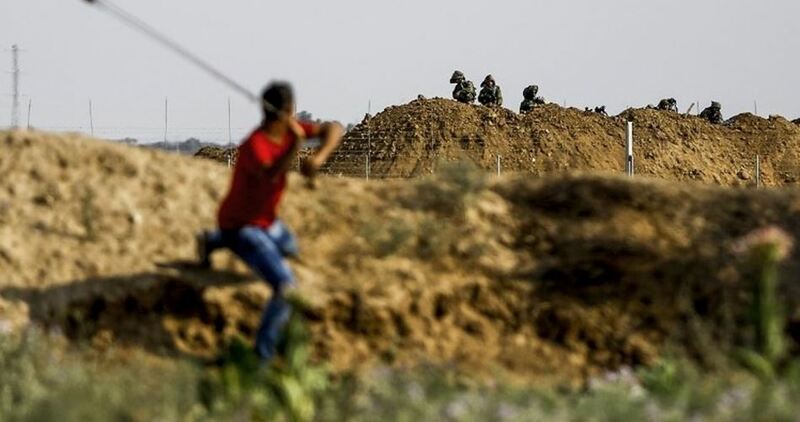 At least five Palestinians were injured after clashes erupted Friday afternoon between Israeli Occupation Forces (IOF) and local youths near Gaza borders to the east of Jabalia town in northern Gaza Strip, medical sources said. 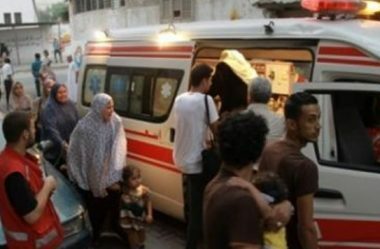 Spokesman for the Health Ministry in Gaza Strip Ashraf al-Qudra affirmed that four youths suffered slight injuries after Israeli forces stationed along Gaza borders fired rubber-coated steel bullets and tear gas canisters at a group of Palestinians present near the borders to the east of the town of Jabalia. Meanwhile, a 17-year-old Palestinian was struck by a live bullet in the foot during similar clashes that broke out in al-Buraij refugee camp. The teen was transferred to a hospital for medical treatment, where his condition was described as moderate. The Islamic Jihad leader Khaled al-Batesh warned of attempts by the International Quartet and other parties to exploit the reconciliation to liquidate the Palestinian Question and the rights and constants of the Palestinian people. 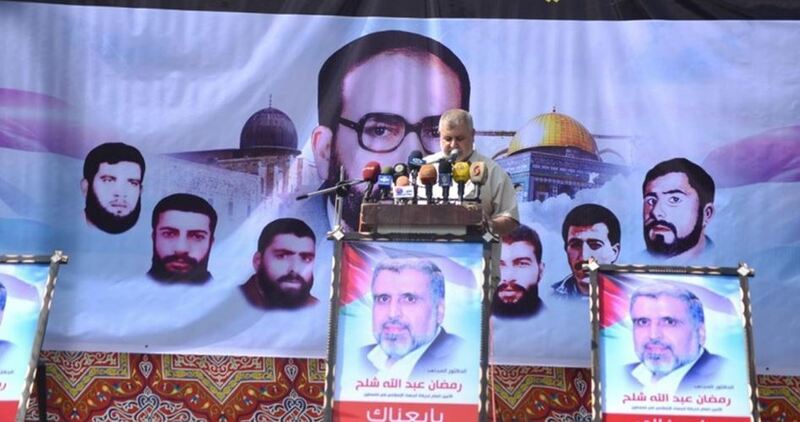 In a speech delivered during a massive march held in Gaza on Friday to mark the 30th anniversary of the Islamic Jihad’s inception, Batesh welcomed the Hamas-Fatah reconciliation moves. However, he warned of an international plan to establish a state in Gaza Strip with some parts in the West Bank as well as boosting normalization with Israel. Batesh called for rebuilding the Palestine Liberation Organization in accordance with Cairo Agreements 2005 and 2011. He also called for achieving national unity in order to be able to confront the Israeli occupation, and affirmed his Movement’s adherence to the resistance choice. The Israeli Occupation Forces (IOF) stormed overnight Romana town west of the northern West Bank province of Jenin and erected a military checkpoint. The PIC reporter said that a number of Israeli military vehicles moved from the nearby Salem military camp and erected a checkpoint at the entrance to the town. Several Palestinian vehicles were stopped and searched at the checkpoint. The IOF also carried out combing operations in the area.